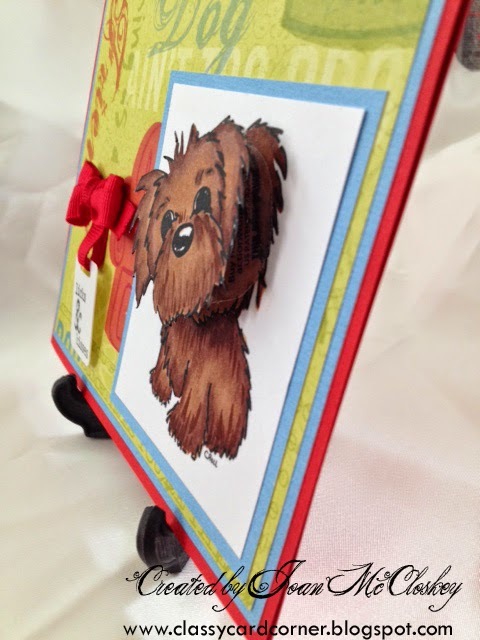 Joanie's Classy Card Corner: Do you own a puppy??? Do you own a puppy??? 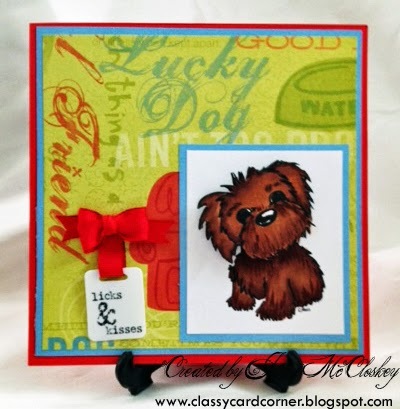 Well, my friends you will want one after you see this cute little fella!! He is so sweet and adorable.... you just want to hug him.. okay, so let me show you what I am rambling on about.. Okay, now wouldn't you say he is one cute little puppy..... and don't you wish you had him? 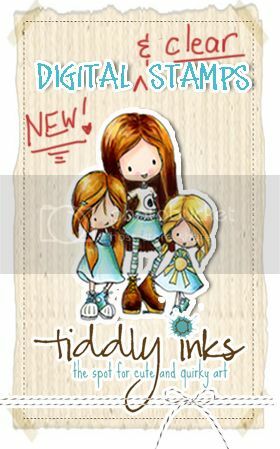 Well, you can get him at Tiddly Inks, YES!!! And while you're there you need to check out the store... oh, gosh, it's one of those "shop til' you drop stores". Awesome!!!! The red and blue cardstock is Recollections. Then the pattern paper, oh, gosh, it's been around here a while... but it's from The Paper Studio. I colored my furry friend with my Copics E29, E25 and E35. I made a tiny double bow and hung a little tag "Licks & Kisses". Wait!!! there's more... I printed the image twice, colored the first one and then colored only the head of the second and fussy cut it and put it on a wobble... so this little guy even shakes his head!!!! Let's Rock ! ! !